You are here: Home / Blog / Drinks / Hot Buttered Rum Cocktail Will Warm You Up! The main goal with this post was that I wanted to try another warm cocktail, since Winter is nearly here. I had a few that swirled around, but settled on a Hot Buttered Rum Cocktail, because it sounded kinda decadent, which sums up the holiday season. The truth is though, it’s not so decadent at all with just a tiny bit of butter per glass. The butter gets muddled with coconut sugar (or brown sugar), cinnamon, nutmeg, allspice, and vanilla. It forms a bit of a paste that then will melt into the rum and hot water. The first sip had me going whoa that’s a lotta rum! But with each sip that passed, it was such a fast way to warm myself up from the inside out. The butter is key for cutting the tang of the rum and adding a smooth, creamy taste to it. I used vegan butter, because I wanted to keep it dairy free, but you can obviously use the real thing if you would rather. 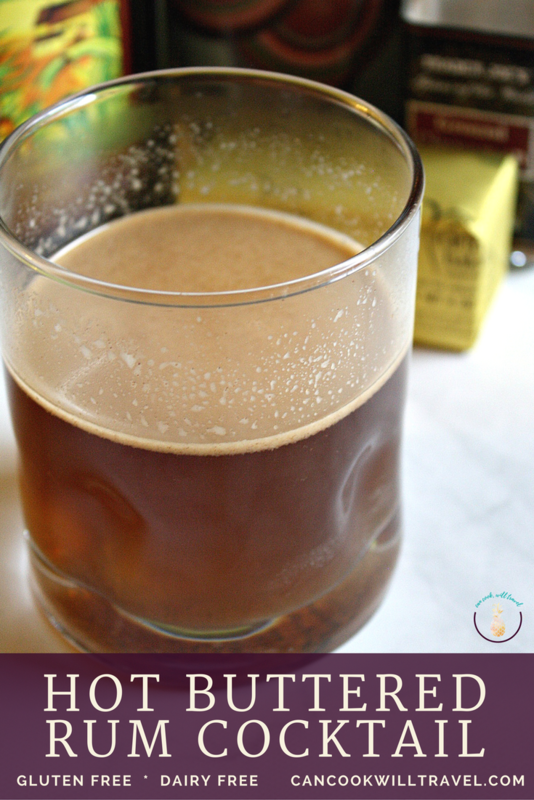 You get this lovely buttery layer on the top of the drink that ensures each sip gets you a little richness. I honestly can’t think of much more relaxing than sipping on this with a candle and my Christmas tree this holiday season. Oh and it’s a breeze to make, so that helps a lot. All of the ingredients can be thrown together while you heat water on the stove or an electric kettle. I let my water nearly boil, and then measured it and let it sit for a minute to cool slightly. That way the water keeps from burning the ingredients. Then stir away for 30-60 seconds so the butter can melt into the drink and you’re all set. 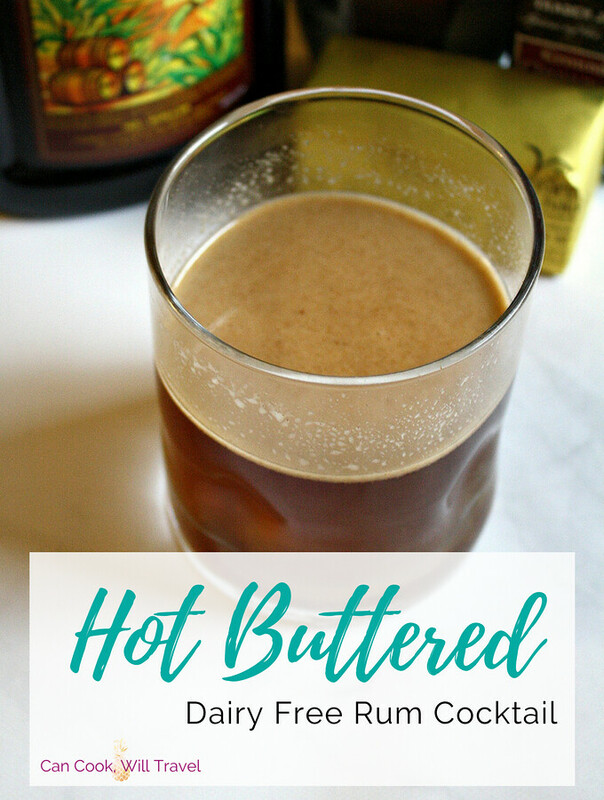 Cheers to you this holiday season with a stellar Hot Buttered Rum Cocktail that you can make with ease. 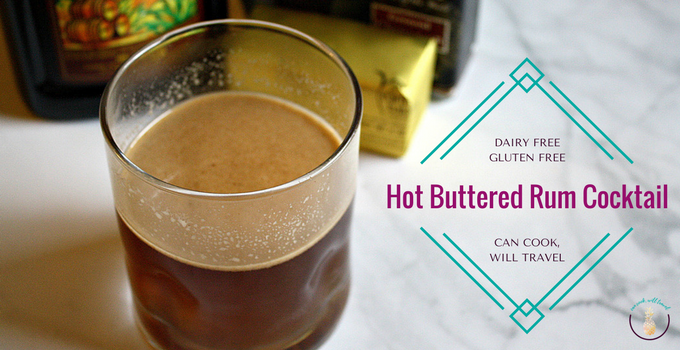 Click that link for the recipe and step by step instructions, so you can be sipping on yours too! Happy drinking! Two years ago: Gingerbread Loaf = Holiday Perfections! Three years ago: Goodbye Thanksgiving, Hello Pumpkin Ravioli! Four years ago: Roasted Brussels Sprouts with Honey Sriracha Drizzle – Oh So Good!